Bold and utterly gorgeous, this 1940s inspired cocktail ring is simply divine. Taking inspiration from the bold and dramatic cocktail rings from the classic and glamorous 1940s, this silver tone 'piece' is sure to attract an envious glance or two. 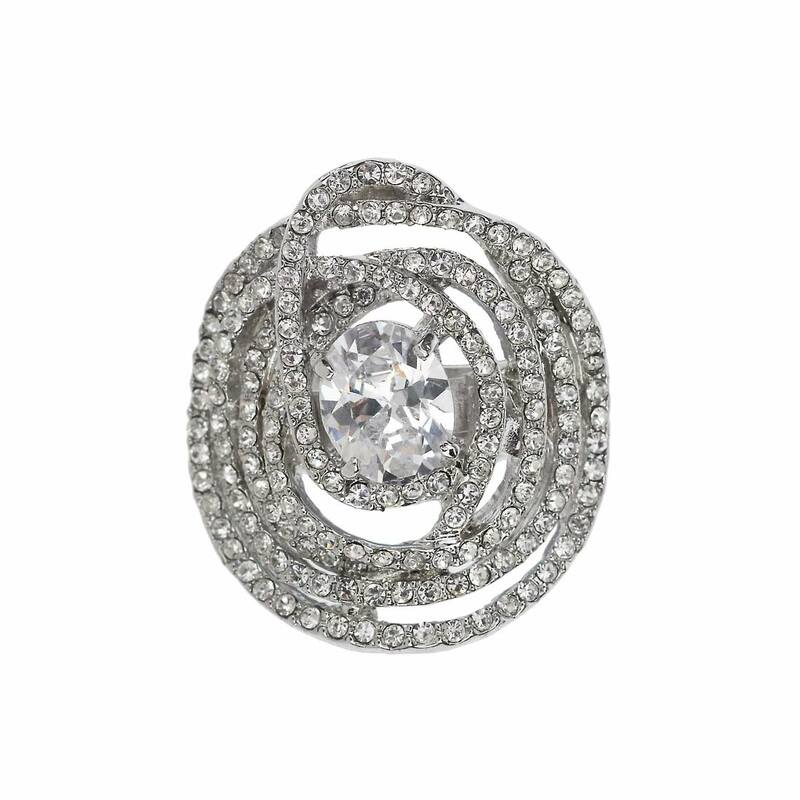 Featuring intertwining Austrian crystal encrusted ovals with a statement oval crystal centre, this is a must-own accessory if you adore vintage costume jewellery. Coordinate this fabulous statement dress ring with a pair of drop earrings and jewelled cuff for a touch of classic movie star glamour.